But there are fears the impending U.S. pullout will imperil those gains. 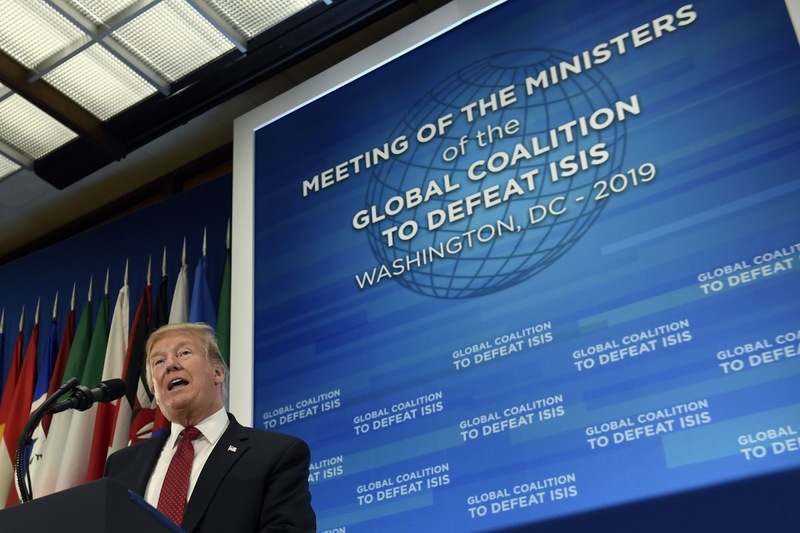 Trump told coalition members meeting at the State Department that while “remnants” of the group were still dangerous, he was determined to bring U.S. troops home. 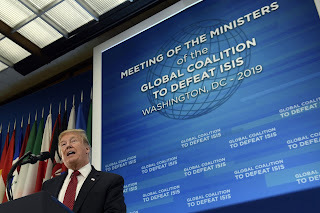 He called on coalition members to step up and do their “fair share” in the fight against terrorism.Even as Trump and Secretary of State Mike Pompeo defended the withdrawal decision, which shocked U.S. allies and led to the resignations of Defense Secretary Jim Mattis and the U.S. envoy to the anti-IS coalition, Brett McGurk, some military leaders, renewed their concerns.